Yesterday I did something I haven’t done since last fall. I was outside doing some work without feeling the need to rush inside to keep warm. Yes, it seems that spring has finally “sprung” in Nova Scotia. Simpel, fast & ready for the oven. But life must go on, and the march of time stops its progress for no one. Before you know it we’ll be dining al fresco, and thoughts of this last loooooong winter will be but dust in our memories. So you need to be prepared, right? That’s what this recipe is: something that you can assemble with no fuss, stick in the oven and then head back outside onto your deck. It doesn’t hurt that this uses a jar of salsa to impart all kinds of Latin (“summer”) flavours. That means you don’t have to assemble a lot of different spices to get the effect. This recipe deals with one of the dreaded leftovers of the kitchen - fresh cilantro. Use a very ripe avocado, often marked down for quick sale. Don’t use a hard one. They don’t have the same buttery consistency. This recipe bakes covered for an hour, and then 1/2 hour uncovered. In that time the acidity of the salsa makes the chicken fork tender. It literally can be cut with just your fork. So as our thoughts start to dream of warm weekends and drinks with friends on the deck, it’s time to think of recipes full of summer flavours that don’t take a lot of work. Cooking smart means you can spend more time enjoying your friends rather than trapped in the kitchen. The avocado sauce is a must, and a revelation. I bet you’ll find many other uses for it over the coming summer. I'm thinking pork for sure, and maybe even on burgers. Just wait until you taste it! 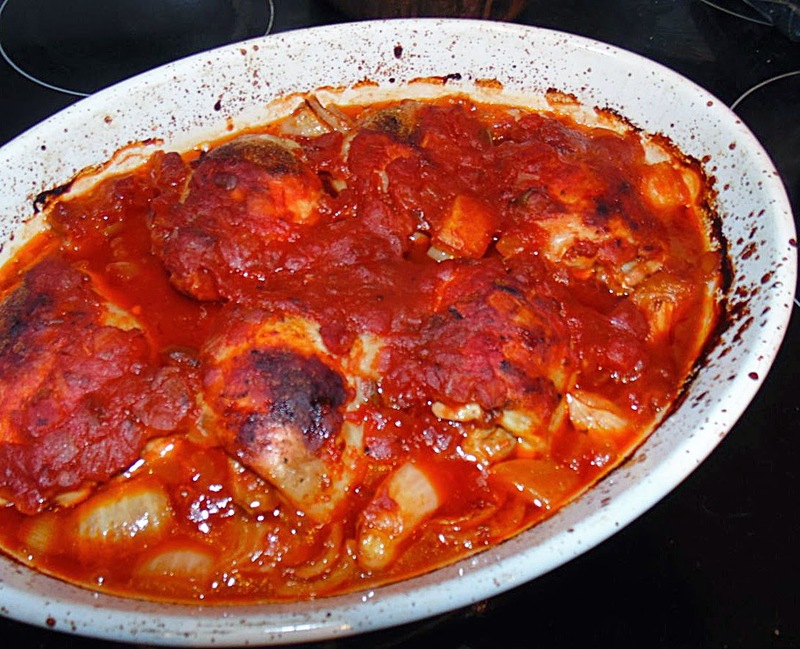 Place the chicken in an oven-proof non-metallic baking dish. Sprinkle with coriander (if using), salt and pepper. Pour the salsa over the chicken. 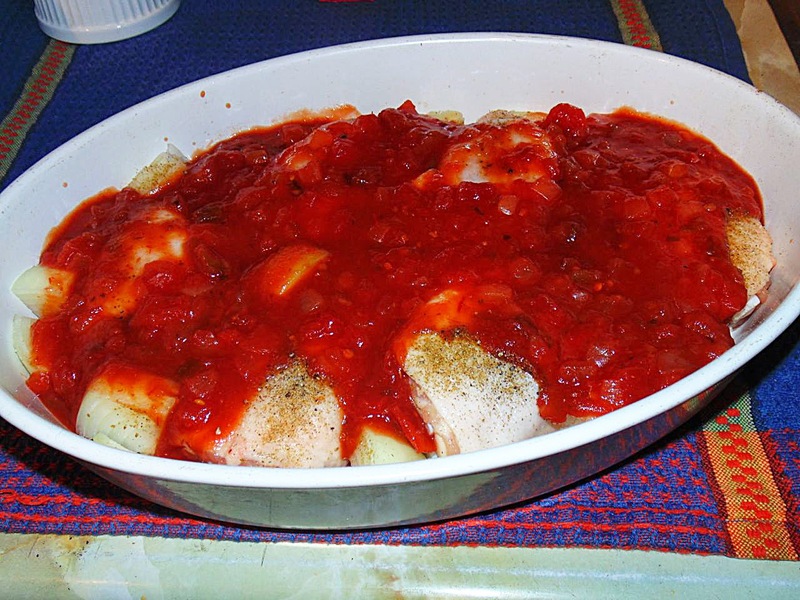 Cover tightly with aluminum foil and bake for 1 hour. After the hour, increase the heat to 425°F, uncover the chicken and bake for another 30 minutes. If you wish, you can run the chicken under the broiler for a couple minutes to brown even further. About 15 minutes before the chicken is finished, make the avocado sauce. 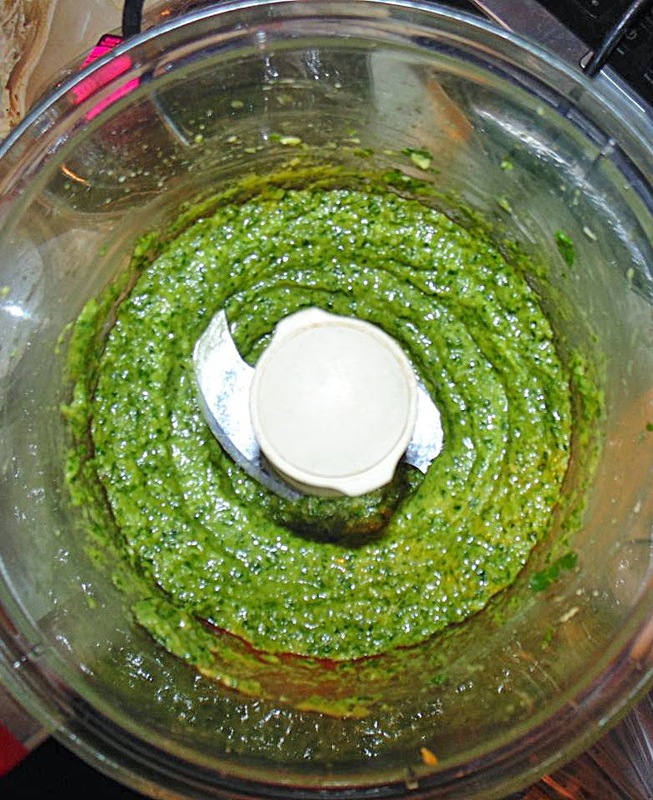 Place the avocado, cilantro, garlic, lime and salt in a blender. Use one of the limes listed in the ingredients. Pulse until well broken up. Then, with the motor running and the pour top open, slowly add in just enough vegetable oil to make a sauce. Don’t use too much or the sauce will get oily. Just so it looks like a dipping sauce. 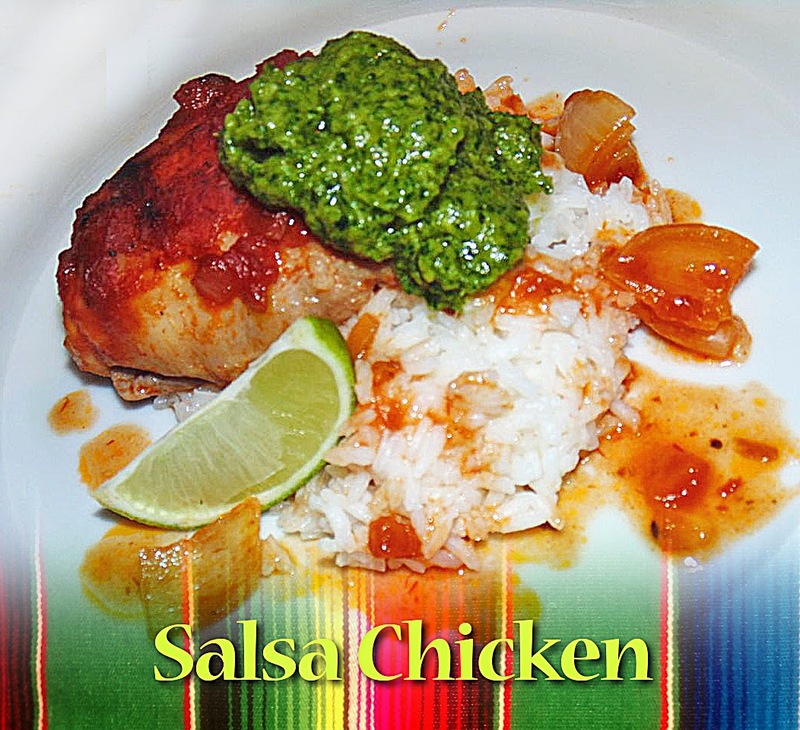 Serve the salsa chicken on rice, with a good dollop of the avocado sauce on top and a wedge of lime on the side. If you like this post tweet it using the link at top right, or share it using any of the links below. Just give me some credit for the post, and a driver back to this page would be appreciated.